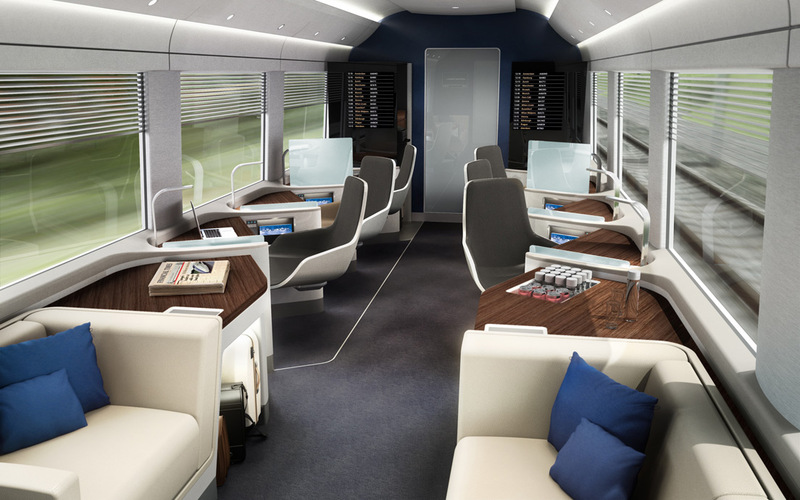 Priestmangoode's LoungeLink takes the transit experience of travelling to a new level of comfort. Any regular business traveller will be able to tell you that the journey to the airport, the check-in and the process leading up to finally taking your seat on the airport can be very rushed. Taking this into consideration, and the fact that business travellers need to make effective use of their time, Priestmangoode have come up with the LoungeLink. 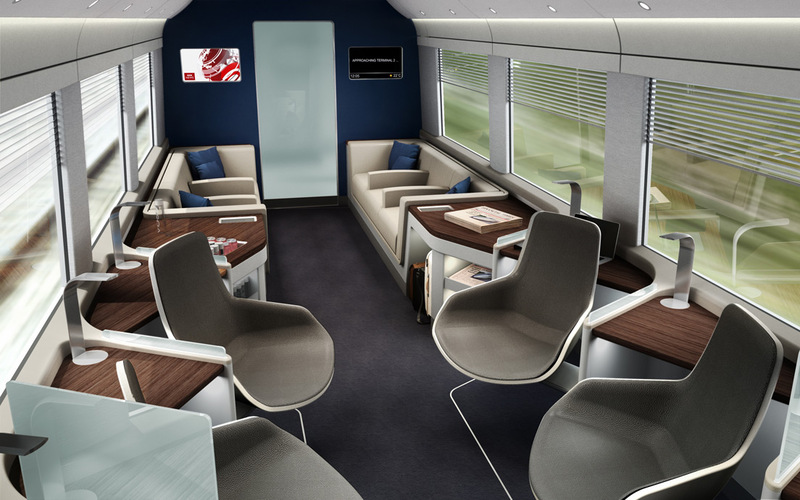 LoungeLink is a concept that aims to enhance the on-board passenger experience by making transit spaces on trains more comfortable. Travellers often like to make use of transit time to download files and emails before boarding a plane, or put the finishing touches to a presentation and LoungeLink now offers them a more conducive environment in which to do this. By incorporating a range of feature from Priestmangoode’s previous experience in designing transport and hospitality environments, LoungeLink is more than a clinical workspace. The staggered layout of the LoungeLink means that while seat numbers are maximized, passengers still enjoy comfort and privacy. Partitioned workstations, with sliding partitions for privacy, provide an ergonomic workspace with bag storage facilities, a drink cup holder and power and data ports. The lounge-like interiors of the LoungeLink has sizeable armchairs with luxurious cushions, surfaces and texturing to enhance the lounge experience and make the environment more sociable. LoungeLink also features a flight information display and a dedicated check-in monitor.